Are you looking for something to do this MLK Day? Do you want to make an impact in your community while having fun? 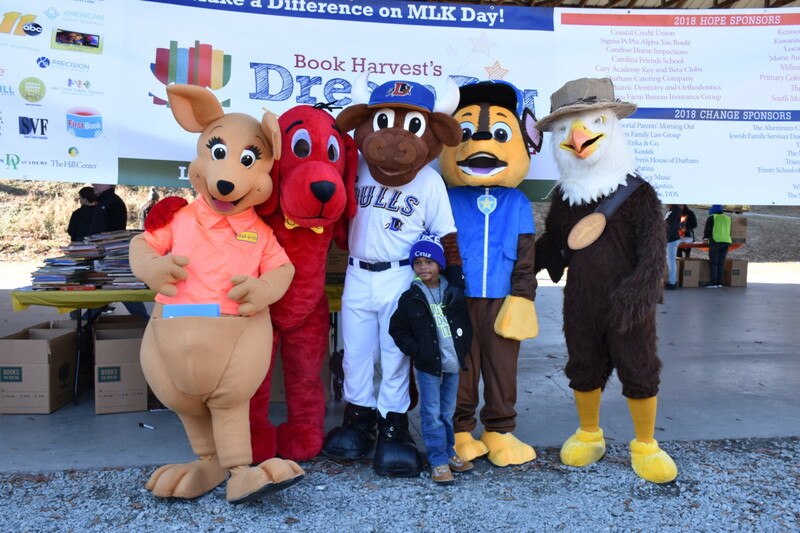 Then check out Dream Big Book Drive and Community Celebration by Book Harvest. Dream Big is Book Harvest’s annual celebration of books for all kids! Every year on MLK Day, they bring BIG dreams to Durham Central Park for this community event. 2018 was a banner year for Book Harvest– one millionth book year! — and they are kicking off 2019 with BIGGER dreams than ever before. A book drive, food trucks, an activity fair, and BIG celebration and fun! There are so many ways to join the fun on January 21. There is still time to Sign up to volunteer. Make sure to bring your books to donate, or just come out to celebrate! *Free books for all kids to take home and keep forever! The party starts at 1:00 p.m. at Durham Central Park, so mark your calendar now and invite your friends to join you! Questions? Contact Book Harvest at (252) 497-BOOK, or email Haley Barber at haley@dpfc.net.